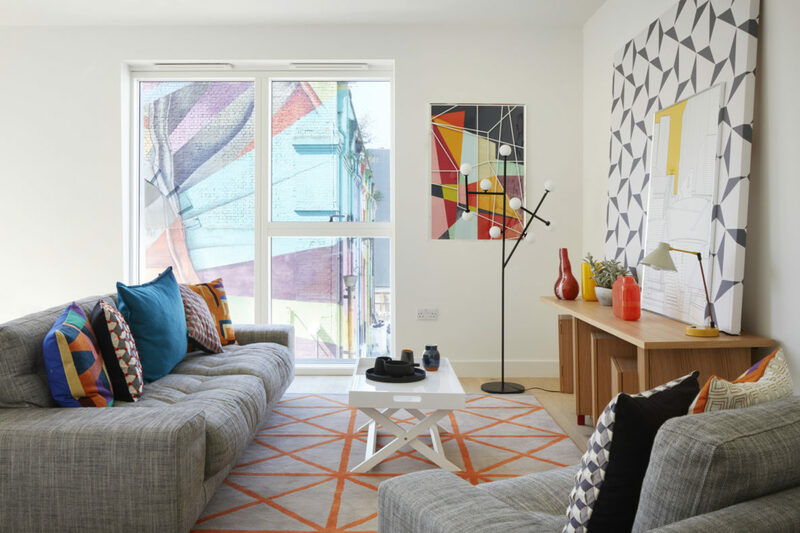 A new style of living for today’s savvy young homeowner. 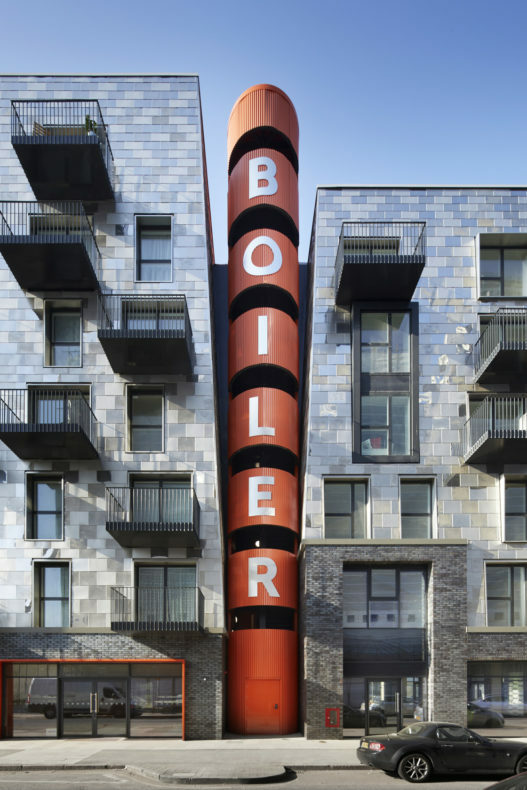 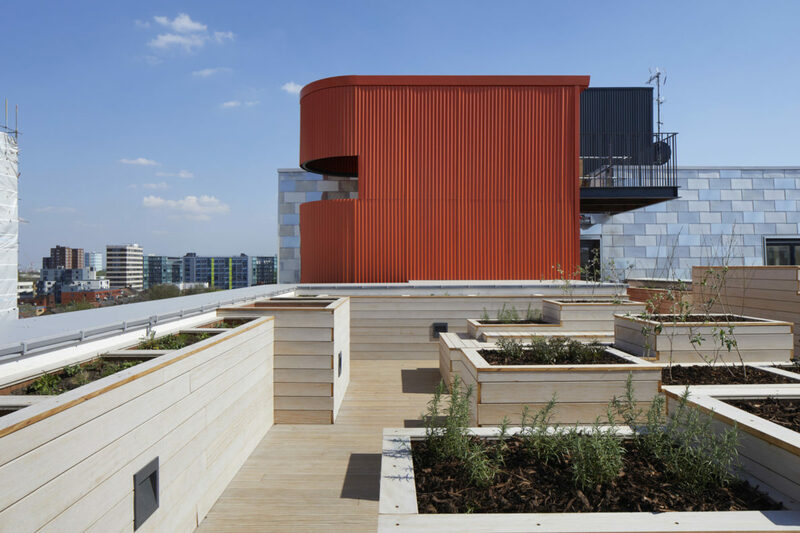 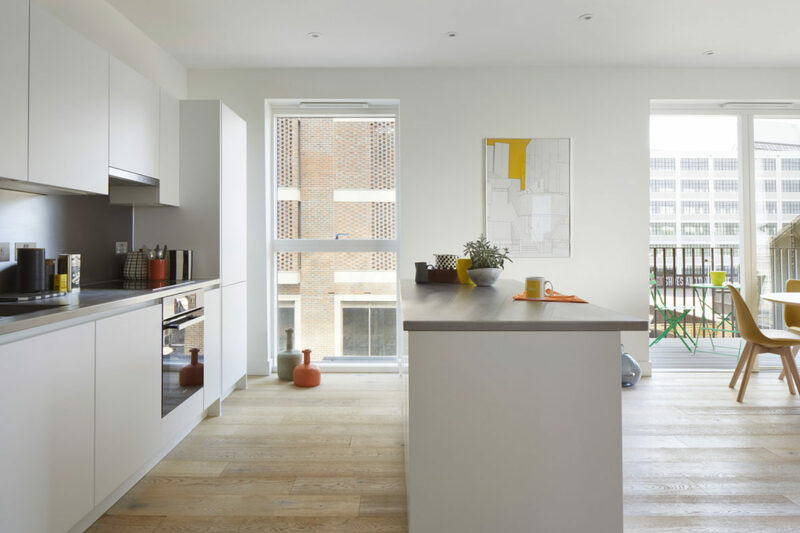 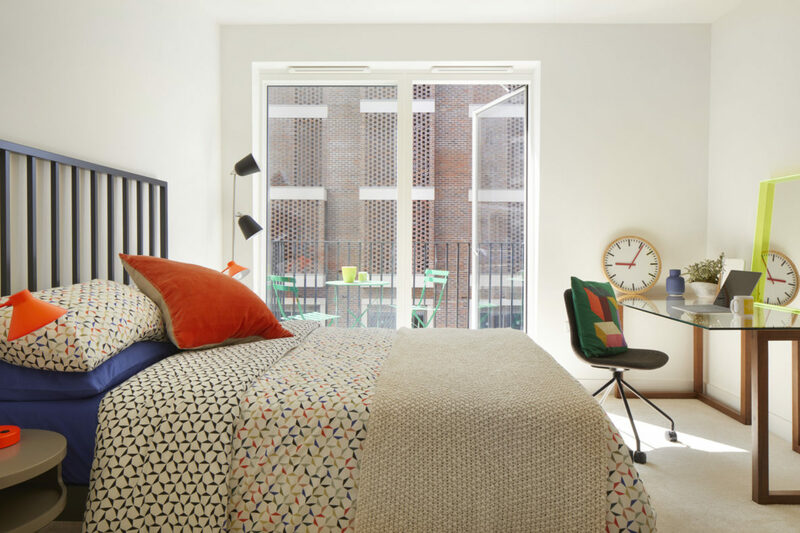 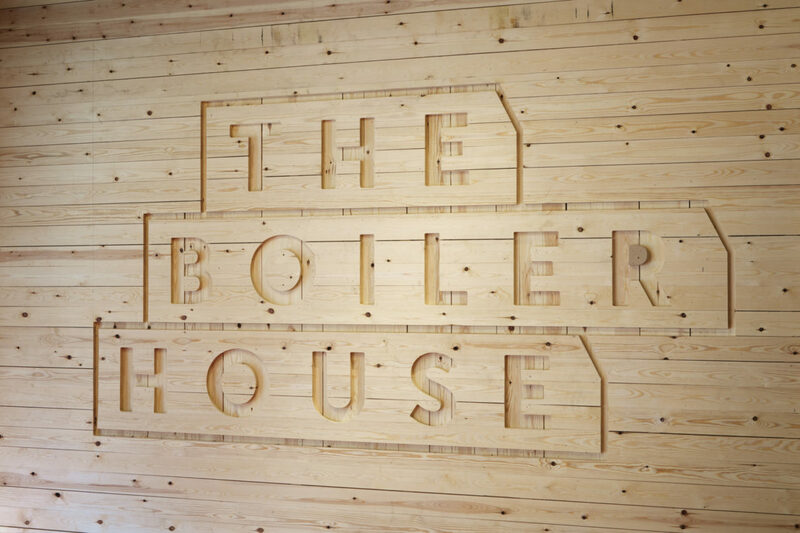 Comprising 54 bright day-lit studio, one and two bed apartments, the Boiler House fosters community and wellbeing with rooftop gardens and an on-site bike store. 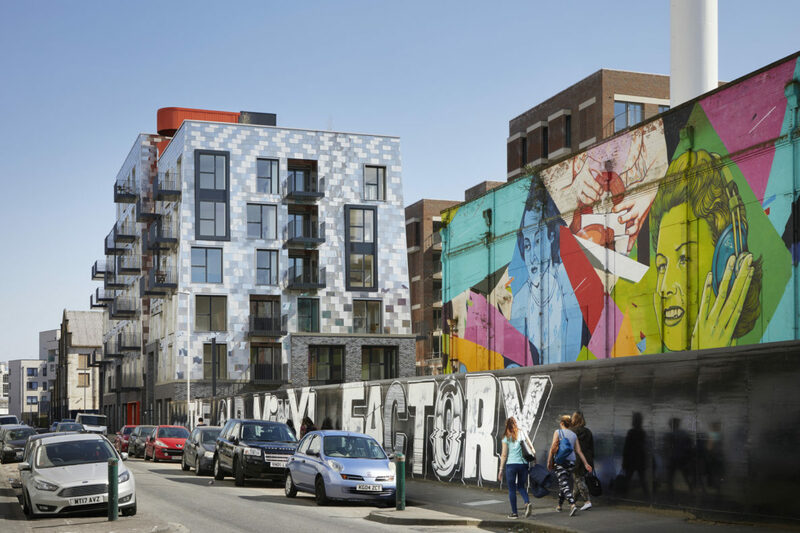 The BREEAM ‘Very Good’ building slots perfectly into the wider Old Vinyl Factory masterplan in Hayes. 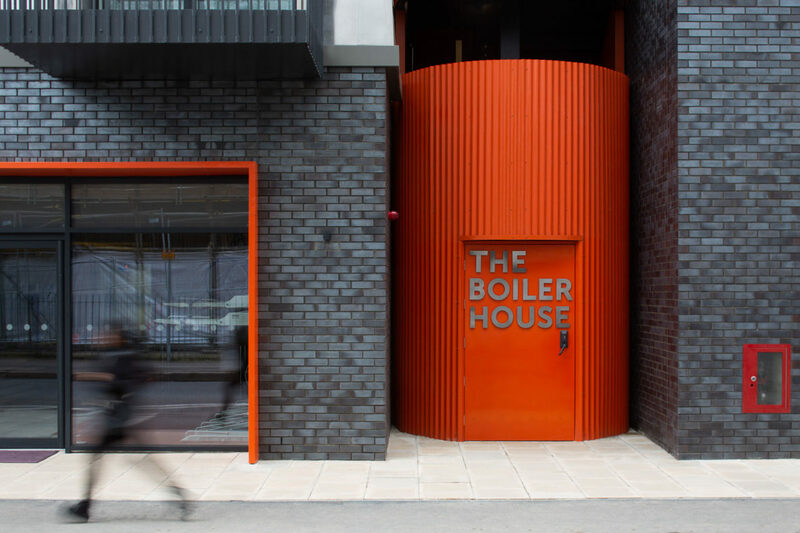 The building’s quirky tapering external walls, clad in shimmering stainless steel shingles, recall the area’s industrial heritage. 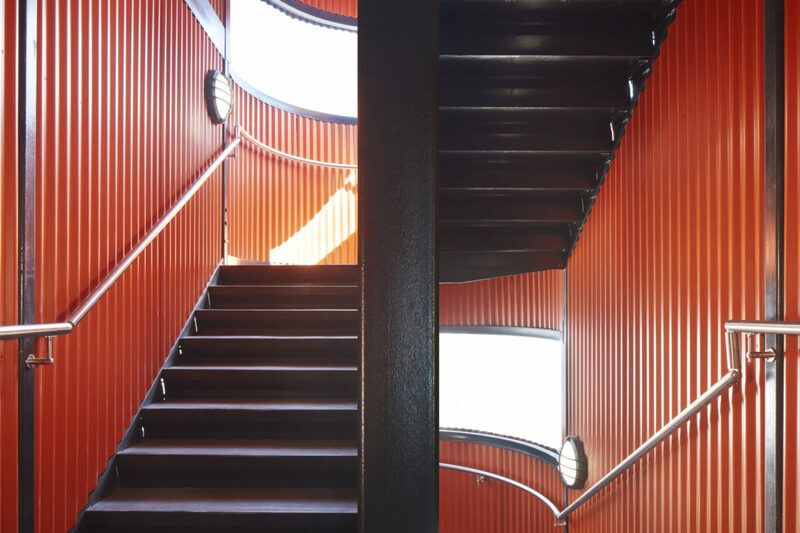 Its central orange staircase is an echo of the boilerhouse chimney that used to occupy the site. 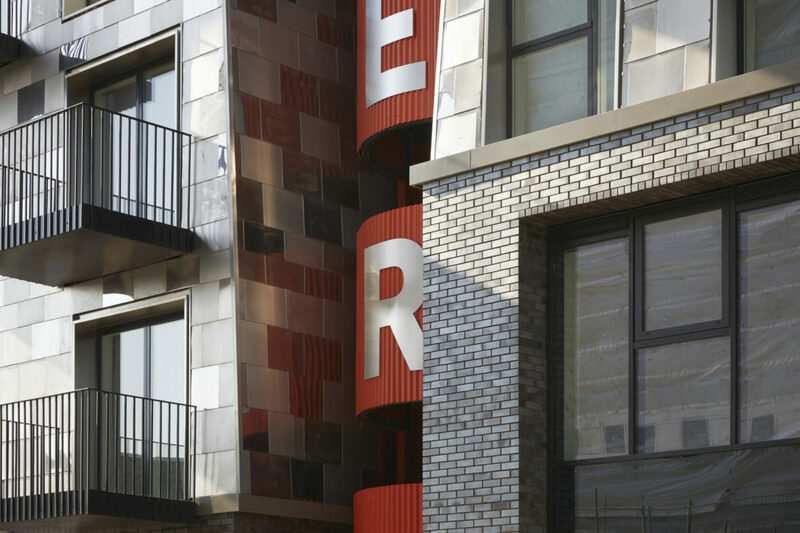 Inheriting the project from the concept architect, Studio Egret West, we developed the detailed design of the building. 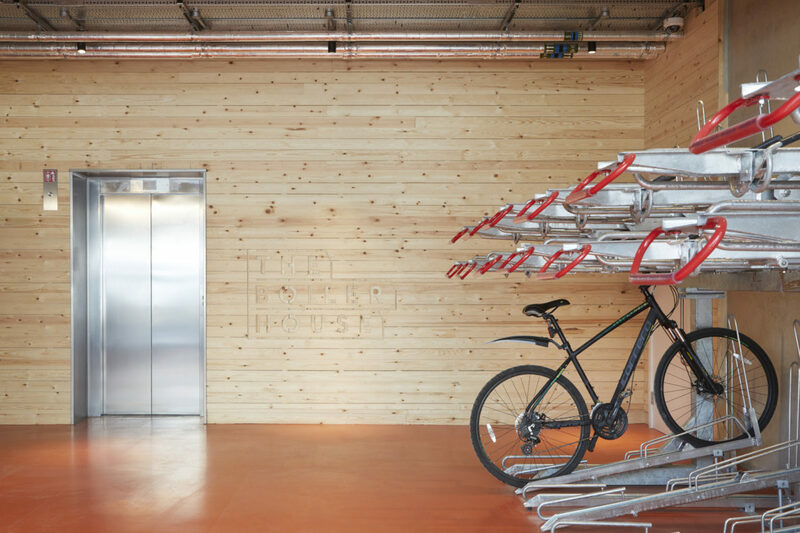 Alongside the CLT system designer, Eurban Limited, we resolved many design complexities. 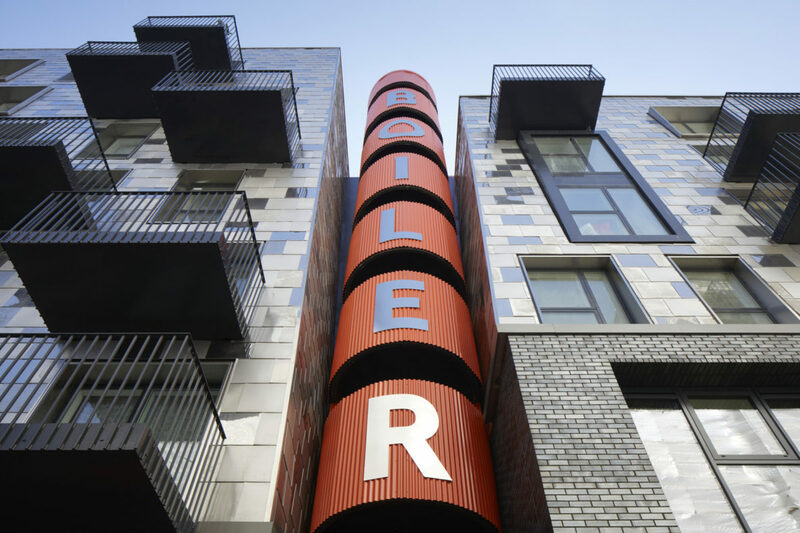 The CLT frame was accurately manufactured off-site and erected in just seven weeks, overtaking other nearby housing projects to complete in May 2018. 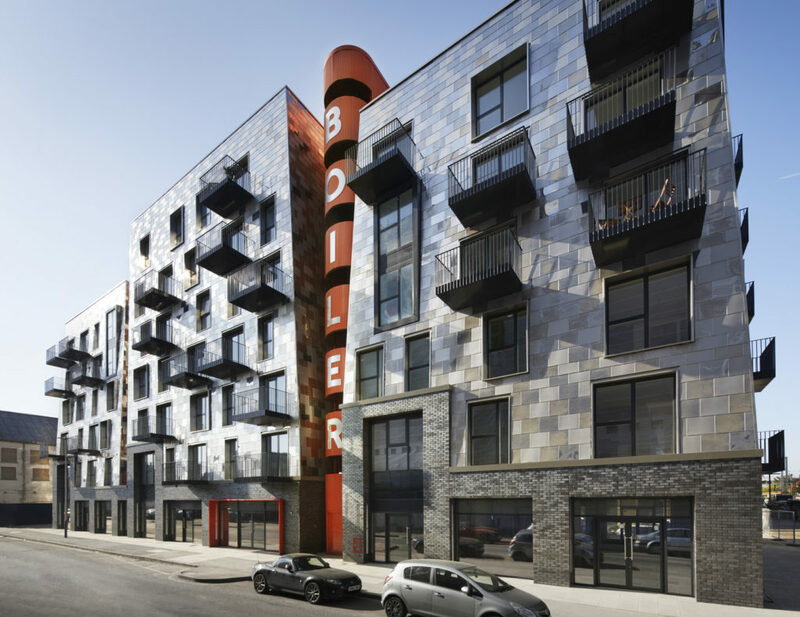 The fully BIM enabled design work paid off: over 80% of the units sold off-plan.